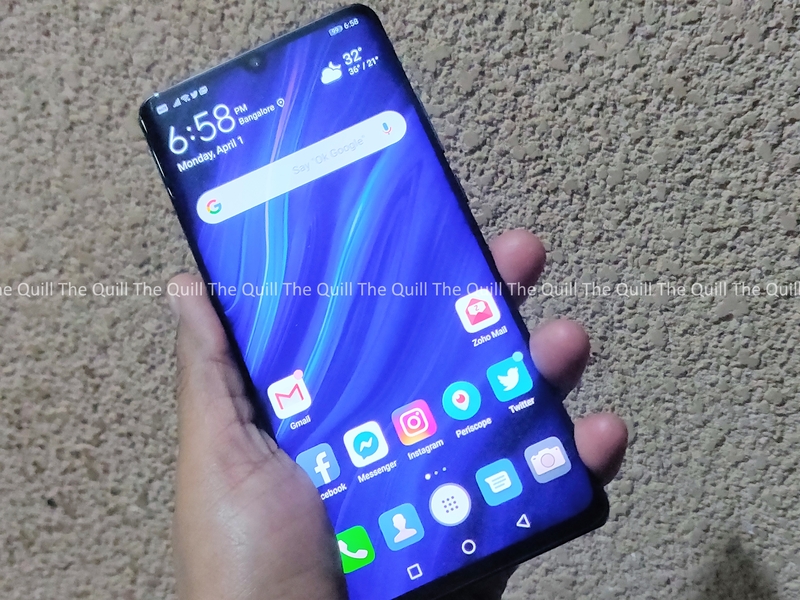 Huawei set the buzz mill running and the cash registers ringing with the P20 Pro last year and then followed it up with the pretty neat Mate 20 Pro. They now have a successor to the Huawei P20 Pro in the form of the Huawei P30 Pro. The phone has four, yes you heard that right, quad camera set up in the rear and a lot of features packed it. I got my hands on this impressive device and here are my first impressions of this phone. Huawei now has an established practice of having two flagship series of devices – The Mate series that is more of a technology refresh and showcase and the P series is the showcase of what Huawei can do with the camera and overall photography might of phones they make. 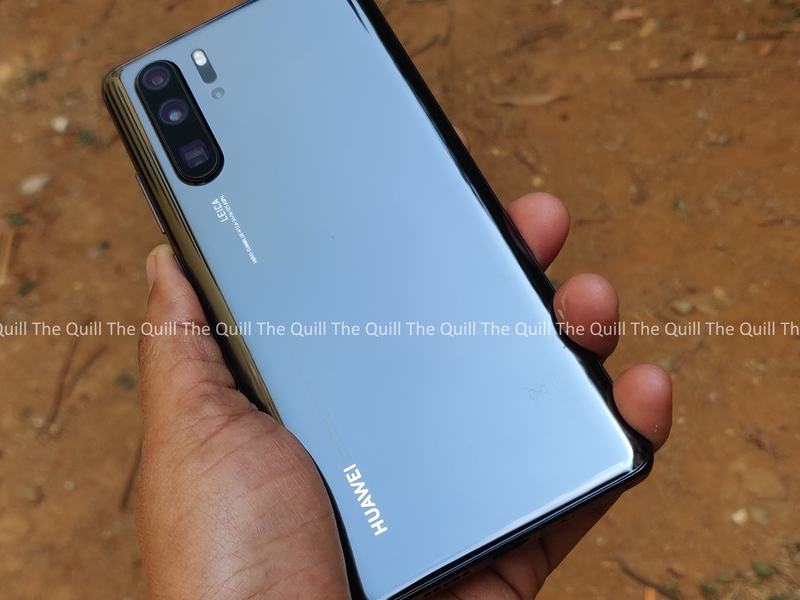 Keeping with the tradition above, Huawei has packed the P30 Pro with enough camera muscle that it can put the best flagship smartphones from Google and Samsung or Apple to shame and even do one better than most DSLR cameras. Imagine a phone that can give you 5X optical zoom and 10X hybrid zoom without any loss. The phone can actually go up to 50X software zoom. Think of that for a bit and take it in! It took me a while! Huawei P30 Pro powered by Huawei’s own Kirin 980 mobile processor, which is a 7nm architecture CPU clocked at 2.6GHz and has a lot of AI muscle built in. It has an NPU of it’s own. This is complemented by 8GB of RAM and the unit I got had 256 GB internal storage. In one look, you see that the phone has some heavy lifting power in the spec department even without getting to the camera department that is the USP of this device. The design is superlative. It is all glass. The rear has around 9 layers of glass that give it a very premium and luxurious feel. The dimensions and the edges are so well thought out that you literally feel like holding a very nice piece of glass in your hand. Given the fact that there are more cameras on this one, you would expect it to feel heavier and hefty but the material and crafting make it feel very light and nifty in your hand. Take the phone out in public and you are sure to turn many heads and start conversations. Full marks to the Huawei design team in this department. Compared to the P20 Pro, you’re looking at a slightly bigger 6.47in OLED screen, with a resolution of 2,340 x 1,080, and a 4,200mAh battery. It’s also running the latest version of Android (Android 9.0 Pie) with the EMUI skin around it. A lot of unwanted heft has been removed from EMUI and it looks and feels a lot lighter. Not as light as Oxygen OS, but definitely getting there. There is a small drop-notch that houses the front camera. The earpiece is a piezo electric one embedded behind the screen due to the small notch and lack of bezels. 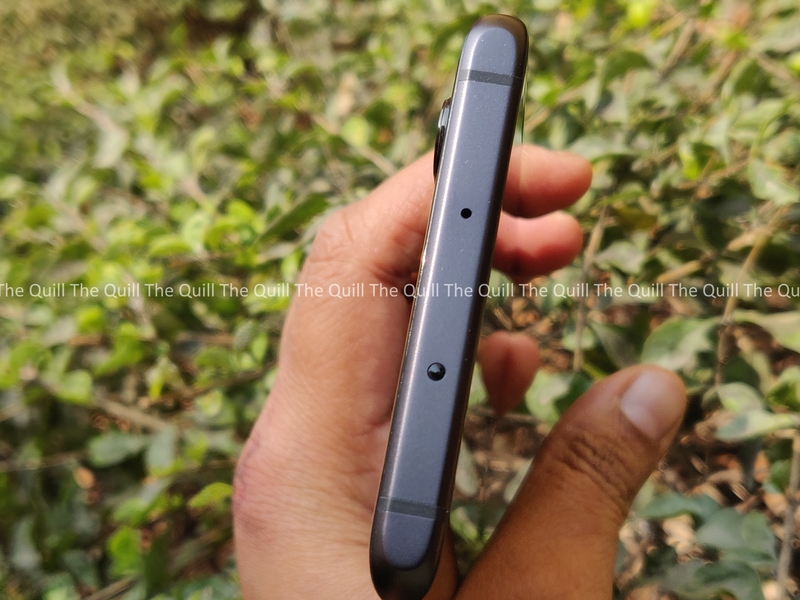 There’s a very large 4,200mAh capacity battery that keeps things running along, it supports 40W charging (and reverse wireless charging as with the Mate 20 Pro). The phone is also IP68-rated dust and water-resistant once again. Of course, the 3.5mm headphone jack is absent, you need bluetooth to get your earpiece on. This is in line with where the flagship phones today are going. 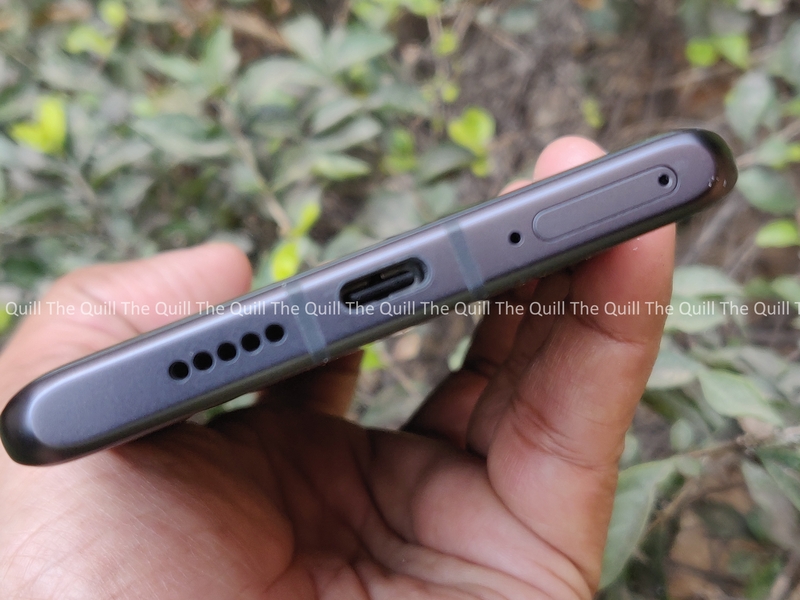 Huawei P30 Pro uses an AMOLED panel yet again and the resolution is 2,340 x 1,080. You might think this is a bit of a downgrade on the 1,440p display offered by the Mate 20 Pro, but this lower-resolution screen has the added benefit of prolonged battery life. And so far in my experience, the display gives a very crisp and immersive experience. Display quality is pretty good, too. In the phone’s “Normal” display profile, the P30 Pro’s screen is very much on the color accurate side and is able to reproduce 95.7% of the sRGB color gamut with a total volume of 109%. In summary, a brilliant display that serves the phone very well even in sunlight. Let’s talk about the quadruple Leica camera array I mentioned at the beginning of this article. Before I get into the specifics of how this all works in a full review later, let me first take you through the specifications of each camera. The primary sensor is an optically-stabilised 40MP unit with a wide aperture of f/1.6. What this means is that, rather than using an RGB Bayer filter on top of the sensor to capture in full color, this camera employs the less commonly used RYB filter, replacing the green elements of the filter with yellow. Huawei calls this “Super Spectrum” imaging and it makes the camera far more capable of capturing a broader spectrum of light. Huawei says the P30 Pro should be better-equipped for low-light environments as a result. We will put this to test in the full review that is coming soon. 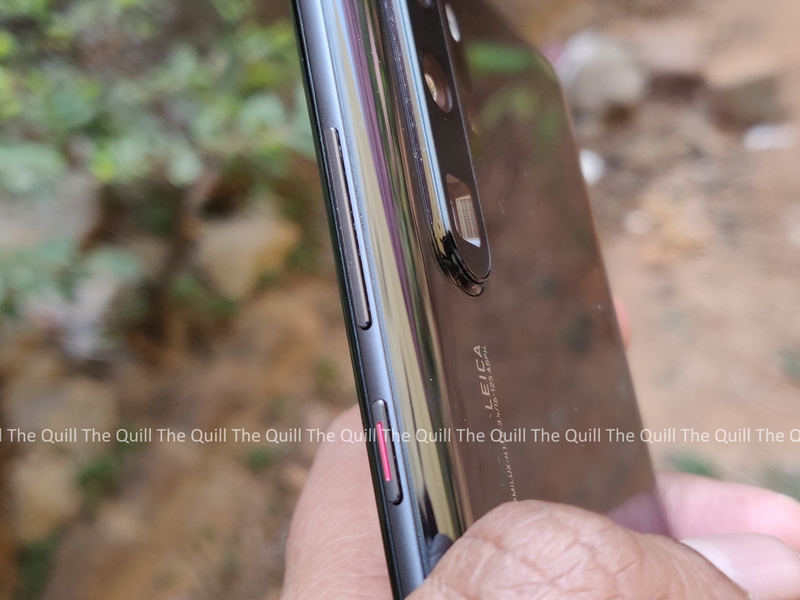 The main camera is accompanied by a new 20-megapixel ultra-wide sensor, which shoots at a slightly wider angle than before, allowing you to capture even more dramatic pictures than with the Mate 20 Pro that has a decent wide angle capability by itself. 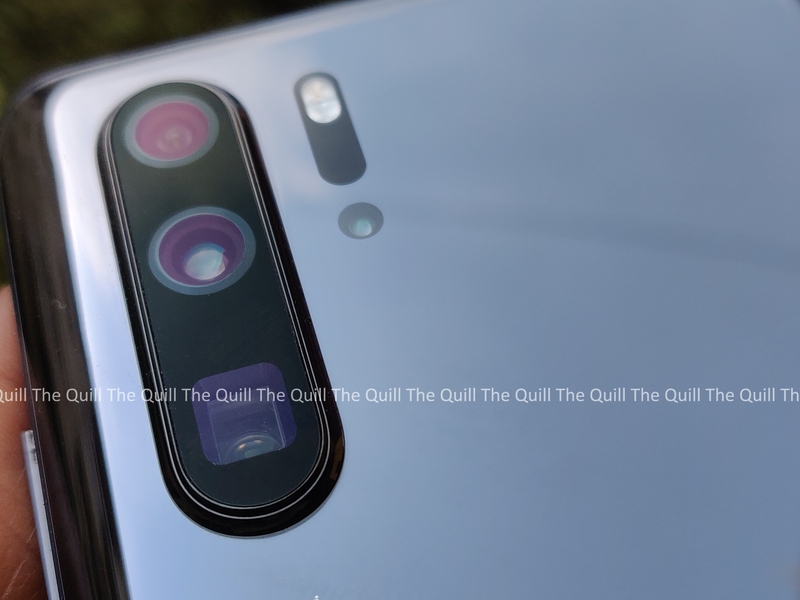 Coming to the third camera, the Huawei P30 Pro has seen an upgrade to its camera zoom capabilities compared to it’s predecessor. This time around you’ll find an 8-megapixel, f/3.4 unit with up to 5x optical zoom – a big upgrade on last year’s 3x zoom. Huawei has achieved this by using a “periscope-style” housing, tilting the camera on its side and capturing the image via a tiny mirror. So if you look closely enough, this third camera is square in appearance, not circular. The “fourth” camera is actually a ToF (Time of Flight) sensor. This consists of two parts: an emitter that sends out beams of infrared light, and a receiver that monitors how quickly the light is reflected back to the sensor. Essentially, it’s a more precise method of measuring depth than the usual stereoscopic technique utilised by most smartphones today. As far as first impressions go, this phone packs a lot of camera muscle and a truckload of power otherwise too in other departments. It has been a while since any phone has excited me so much. I am looking forward to reviewing the phone fully in the coming days. This device packs a mighty camera punch in a great phone as a package. Full review coming soon.